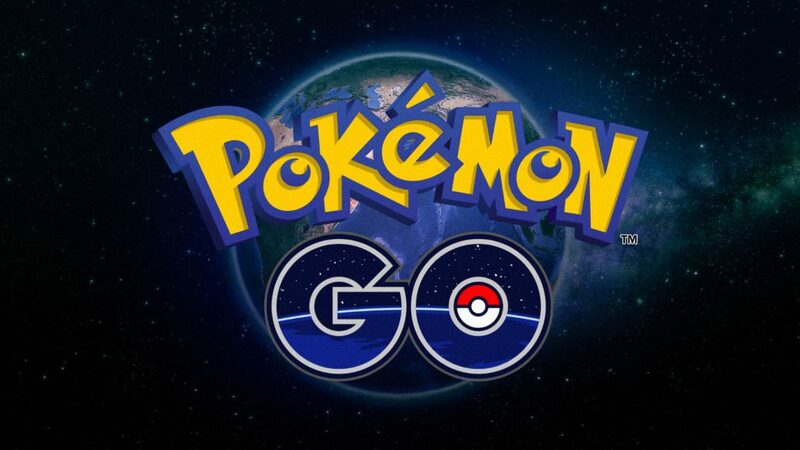 Pokémon Go is a phenomenal free-to-play game that made millions of people roaming around the neighborhood. Like them, I find the game to be immensely enjoyable! So now, we have made a list of the top 10 cheapest phones for Pokémon Go so that you can easily join the fun. But before we go to the list, let’s take a look at the system requirements of this game. Initially, the app wasn’t compatible with Intel-based smartphones. Niantic Labs and Intel worked together to make the app compatible with Intel x86 smartphones. Also, although 1GB RAM phones are supported, based on experience, it is still best to have a 2GB RAM for a smoother gameplay. Pokemon Go consumes about 135 GB of RAM and combined with your other apps, you may reach 70-80% of RAM usage for a 1GB RAM phone, which is still okay for the modest user. A Gyroscope sensor is needed for Augmented Reality (AR) mode to work. When it comes to a strong internet connection, a 3G connection is sufficient, but LTE connection is faster. So as much as possible, get an LTE-capable phone. Although signal strength between LTE and 3G connection depends on your location and network provider, it is still better if your phone allows you to switch between these two. Also, when selecting a network provider, check the 4G/LTE bands of the phone if any of the phone’s available bands match that of the network provider in your location. This is to ensure that your phone can connect to the network’s 4G/LTE signal aside from 3G. Contact your chosen network provider if needed. When checking the location services feature of the phone, it is always better that the phone can use GPS with A-GPS (US satellites), GLONASS (Russian satellites), and BDS (Chines satellites). A phone with GPS with A-GPS and GLONASS can provide better location accuracy compared to a phone with GPS with A-GPS only. Most cheap phones don’t have a gyroscope sensor. Without this sensor, you will not be able to use the AR mode. But you can still play the game. Personally, I think AR mode is fun at first, but based on experience, it drains more battery life and it’s harder to catch pokémons compared to normal mode. So I stopped using it, because I want to play longer and advance in the game faster. Yes, BLU R1 HD has good specs, can be used to play Pokémon Go (without AR mode), and will just cost you $59.99. Unfortunately, the very low price is subsidized not just by ads but by also by the theft of private information stolen from users. According to a NY Times article, Kryptowire, a security firm discovered that all call records and text messages to and from the device were being digitally copied and secretly forwarded to a server in Shanghai, China every 72 hours. Shanghai ADUPS Technology is the company who made the ADUP technology that is bundled with BLU. This technology aims to wirelessly update software installed on mobile, but contains the spyware. ADUPS claims that they have updated the firmware to disable the spying functionality, but according to Kryptowire, the technology is embedded deeply in the software that it can be re-enabled any time. If you will use BLU R1 HD mostly for playing Pokémon Go, it is a very cheap and good device. Check out more customer reviews here on Amazon.com. If you are very concerned with privacy, at least you know the risk. You don’t want to just buy the cheapest phone out there. It is always better to buy the best and cheapest so you can get the best value for every buck. We have been examining the prices and specs of over 300 phones from the top brands for the past three years. And from our best smartphones from the lower budget categories, we just simply selected those that fit the Pokémon Go requirements. The LG Stylo 2 is another new smartphone that was recently released. It has a built-in stylus which is a feature normally found in more expensive smartphones. It has Boost Mobile, Virgin Mobile, and Cricket version. It has a very good processing power, RAM, camera resolution, and storage capacity. It is certainly worth every penny and an excellent smartphone for Pokémon Go. The Lenovo Vibe K5 is also a recently released smartphone. It has a good processor, Dolby Atmos audio, and it’s also LTE-capable. The battery capacity is also pretty huge for its size so expect more juice from this one when playing Pokémon Go. ASUS Zenfone Max ZC550KL (2016) has a mind-blowing 5000 mAh battery capacity which is very huge for a 5.5-inch smartphone. Other smartphones with the same display size usually only have 3000 mAh. It also has one of the fastest chipset in the list which is designed for mid-range smartphones. It has the latest OS and can use GLONASS and BDS aside from GPS. The LTE bands of this phone are 1(2100), 3(1800), 38(2600), 39(1900), 40(2300), 41(2500). The LG K10 is another recent phone from LG and it has good specs for an entry-level smartphone. For me, the most impressive aspect of the LG K10 is the design. It has three versions with different LTE bands. For the K420N (Europe) version, the LTE bands are 1(2100), 3(1800), 7(2600), 8(900), 20(800). For the K430DS (Russia), the LTE bands are 3(1800), 7(2600), 20(800). And for the K430DSF (LATAM), the LTE bands are LTE 700 / 1800 / 2600. The HTC Desire 530 is a recently released smartphone so it has a more recent operating system. Although older OS works with Pokémon Go, the latest OS has new features like better power saving features. The display is just 5.0 inches so it’s perfect for those who like the regular size which is easier to hold. The micro-splash design is what stands out in this smartphone. The LG Spirit is another good phone with a cheaper price. Although cheaper, it also has a good display resolution, processing speed, and camera. It’s like a smaller sibling of LG Magna with its 4.7-inch display. The display is slightly sharper because it has a higher pixel density of 312 ppi. There are also an LTE and 3G only version. For the LTE version, the LTE bands are 1(2100), 3(1800), 7(2600), 8(900), and 20(800). The Lenovo K3 Note is another phablet device. It has the same display size of an iPhone 6 Plus. It also has a Full HD resolution which makes it sharper than the 720×1280 resolution of other phones. It’s actually more expensive in the previous months, but lately, the price went down and is now under the US$150 budget category. It also has GLONASS for a more accurate location. The LTE bands of this phone are 1(2100), 3(1800), 7(2600), 38(2600), 39(1900), 40(2300), 41(2500). The Lenovo S60 is a regular size smartphone and it is one of the lightest phones on the list. It also became cheaper lately so it’s now one of the cheapest choices for the Pokémon Go. The LTE bands of this phone are 1(2100), 3(1800), 7(2600), 20(800). So now that we have narrowed down our choices, all you need to do is to identify your budget and select your personal preference. And when you already started playing, always remember to play safe, be alert when playing near the streets, and be sensitive to the privacy of other people around you. Play with your friends and meet and greet other players! Have fun catching them all! Pokemon Go Accessories – Top 5 Most Important Poké-Accessories! What do you think of these cheapest phones for Pokémon Go? I would love to hear from you. You are welcome Mainak Roy! Have a great day! Pokemon is a great addictive game and one I’ve been playing since I was 10 years old. Pokemon as come a long way since the days of the game boy advance. Nowadays people have come up with a way to get ds emulators on android devices to make playing Pokemon possible. Earlier this year I used the ASUS Zenfone 3 Max to play Pokemon and the experience was great on it. Hi Joshua, I’m one of those who used an emulator in my phone to play the old game and I really enjoyed it. 😀 ASUS Zenfone 3 Max is an excellent smartphone when it comes to balance between features and price. The huge battery capacity is great for playing the game. Hi Jason, yes, Pokemon Go works on most smartphones, but performance and speed varies depending on the specs. Not all phones have GPS today, but most are. You should try playing in your free time. It’s fun and simple and adds to your daily exercise.